Get inspired! Find iconic road routes from over 30 Great Places to Cycle! Carve out a mountain biking adventure in Ontario! Ride epic destinations by finding a cycling event that best suits your style! Make your trip a great one! Find bicycle friendly places to eat, visit and sleep. Explore 3,000km+ along the Great Lakes Waterfront Trail and Greenbelt Route! 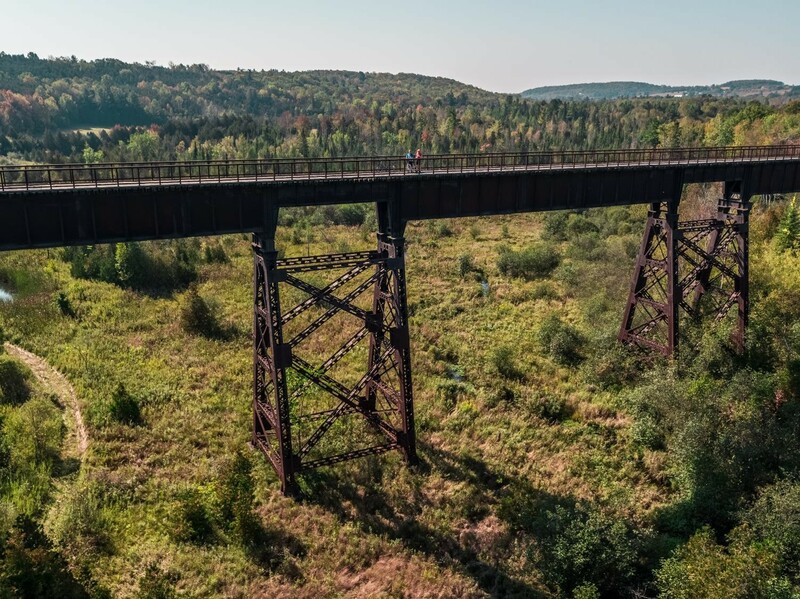 Make it a weekend away exploring Ontario's Rail Trails! Please let us know your email address. Please let us know your name. Please let us know your name. 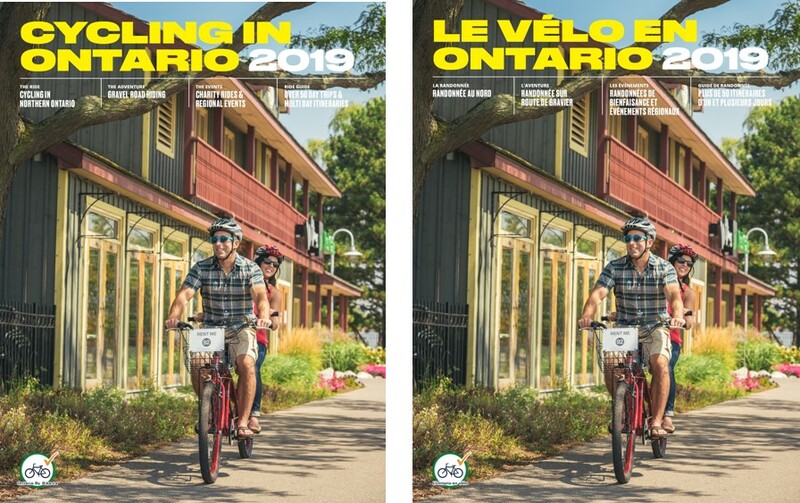 Order A 2019 Cycling in Ontario Guide! Check out the brand new 40-page annual guide that is packed full of ideas and information to inspire you to explore more of Ontario by bike. Click to download or order a free copy by mail! Available in both French and English. 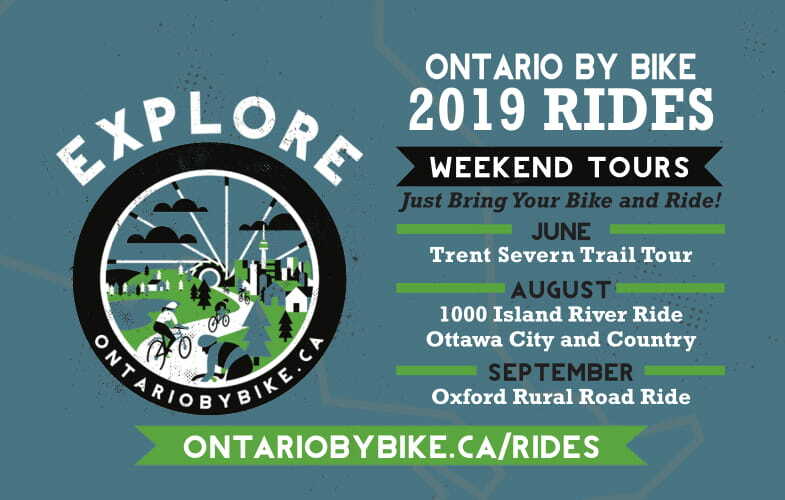 Find out more about our Ontario By Bike Ride destinations and schedule for 2019! New destinations, old classics all with the same great value! These small group weekend tours are self-guided, fully supported and always sell out! 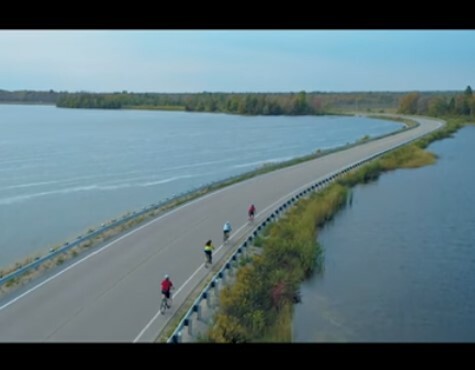 Check out Ontario Tourism's latest cycling video, featuring amazing destinations across Ontario! 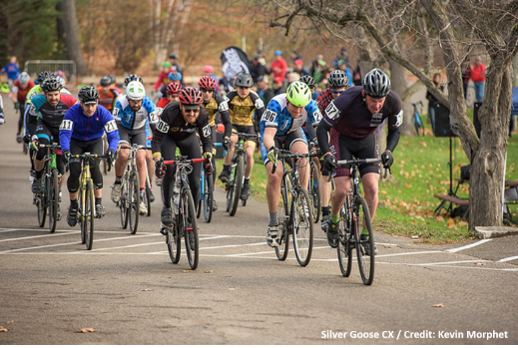 Check out our cycling event listings and discover a new favourite ride for 2018!